For years, expecting mothers have been leery of using mobile phones while pregnant for fear of adversely affecting their unborn child’s development. But a new study published in BMC Public Health is attempting to assuage those concerns. Lead author Dr. Eleni Papadopoulou from the Norwegian Institute for Public Health says that prior findings connecting fetal harm to radio waves emitted by mobile phones vary widely and that her team’s most recent findings show no support for the theory at all. "The concern for harm to the fetus caused by radio frequency electromagnetic fields, such as those emitted by mobile phones, is mainly driven by reports from experimental animal studies with inconsistent results,” she said “Even though this is an observational study, our findings do not support the hypothesis of adverse effects on child's language, communication and motor skills due to the use of mobile phone during pregnancy." The researchers came to their conclusions after analyzing data on nearly 46,000 mother-child pairs who took part in a population-based cohort study. Participants provided information on mobile phone use while pregnant and gave neurodevelopmental updates on children between the ages of 3 and 5. In an unexpected reversal, senior author Jan Alexander says that the investigation revealed that mobile phone use by expecting mothers actually resulted in better language and motor skills by age 3, but he admits that this is probably due to factors not measured in the study; the findings indicated that children born to mobile phone users had a 27% lower risk of lower sentence complexity, a 14% lower risk of incomplete grammar, a 31% lower risk of having moderate language delay by age 3, and an 18% lower risk of low motor skills at age 3. 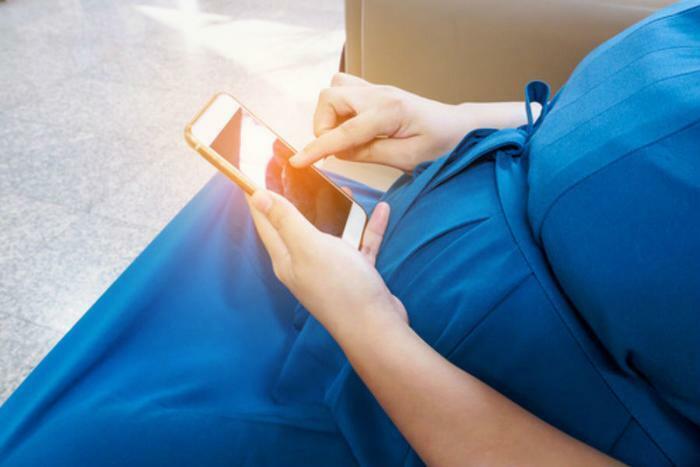 While these findings cannot be directly tied to mobile phone use, the researchers say they are relevant for showing that the devices are not damaging fetal development. "Our large study provides evidence that pregnant women's use of cell phone is not associated with risk of harming neurodevelopment of the fetus,” said Alexander. “The beneficial effects we report should be interpreted with caution due to the limitations common in observational studies, but our findings should at least alleviate any concern mothers have about using their mobile phone while pregnant."